Wet depressions and other moist disturbed, open sites. A white-flowered southern species, barely extending into southernmost Michigan; our sparse material is apparently all the american native subsp. fraterniflora (Mack. & Bush) Brummitt, but our collections are from roadsides, ditches, and other disturbed areas, the earliest in 1939, and the species has probably been introduced from farther south. 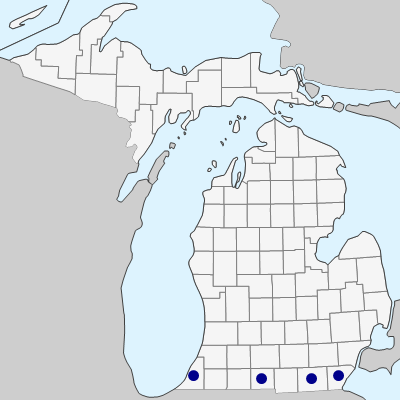 Recognition of this species in Michigan is also not straightforward; in addition to those mapped, several specimens appear to be intermediate with C. sepium subsp. americana and may be of hybrid origin. MICHIGAN FLORA ONLINE. A. A. Reznicek, E. G. Voss, & B. S. Walters. February 2011. University of Michigan. Web. 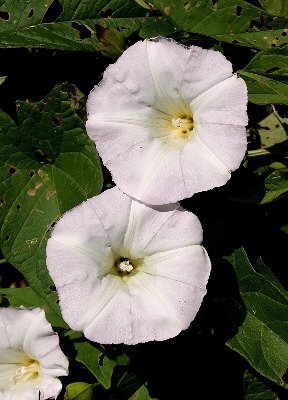 April 21, 2019. https://michiganflora.net/species.aspx?id=847.